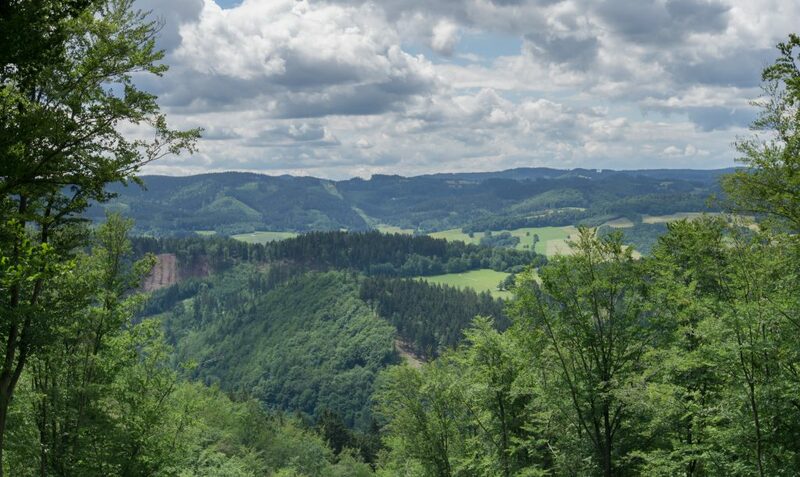 We started in Kunčice pod Ondřejníkem which is a small town in the foothills of the Beskids. 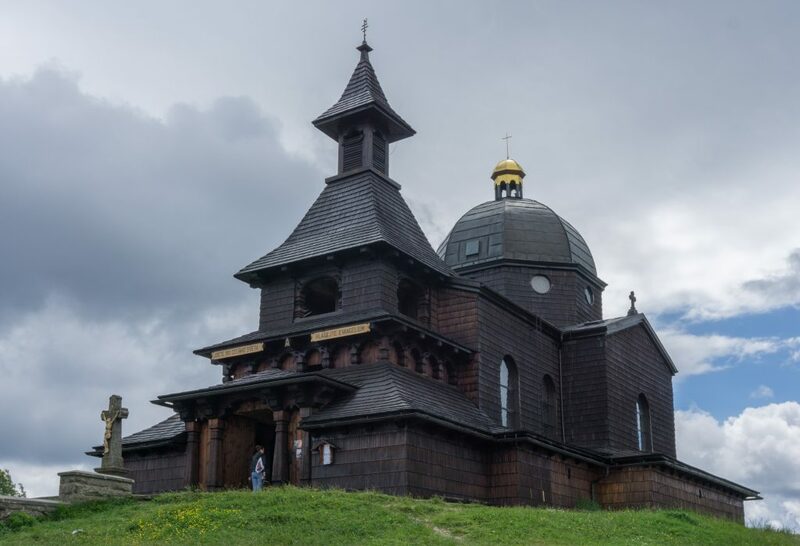 Just about ten minutes from the train station there is a wooden church, Church of Saints Procopius and Barbara. It was built at the end of 17th century (!) in a small settlement close to Svaliava in western Ukraine. Because it began to break up, it was sold and relocated in 1931 here to Kunčice. Following the green marked route, we went up through a beech forest to Pustevny. 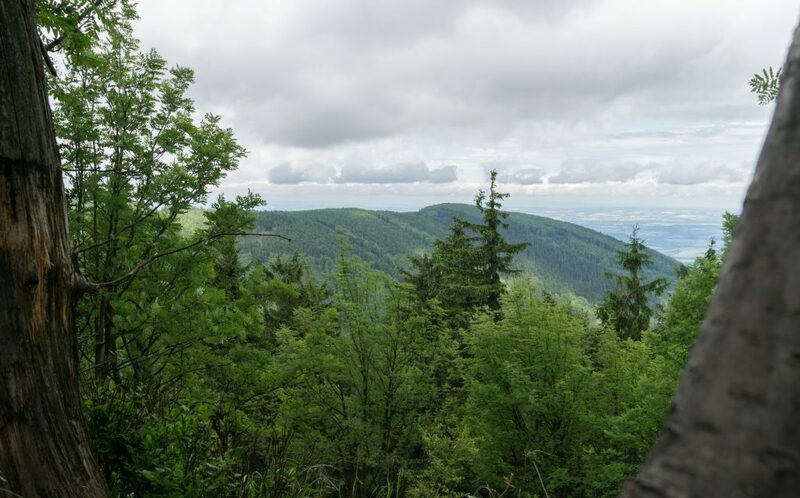 The path was quite steep, cold and rough, characteristic of trails in the Beskids. 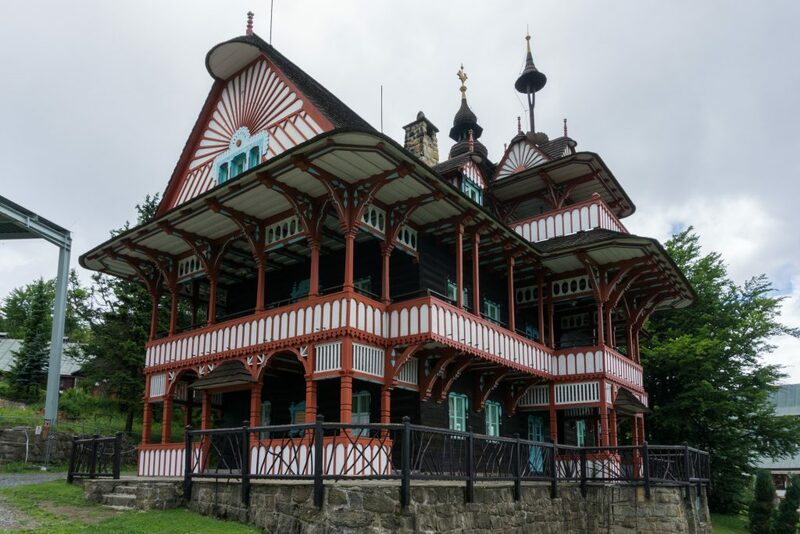 In Pustevny there are very lovely, colorful, wooden buildings built by architect Dušan Jurkovič at the end of 19th century. One of them burnt down just a few years ago, but the other still stands and it’s a true pleasure to observe it. From Pustevny we followed a blue marked route to Radhošť Mountain (1129 m). There is another remarkable structure – chapel of the Saints Cyril and Methodius from 1905. Cyril and Methodius have a very special place in the history of Slavs people and they’re called Apostles to the Slavs. The chapel itself is covered by shakes with small stained glass windows in it. To get to Rožnov pod Radhoštěm, we simply followed red marks. 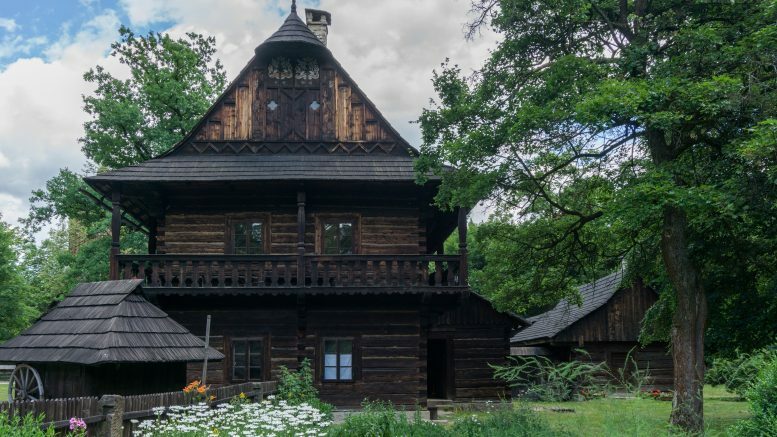 In Rožnov there is Wallachian Open Air Museum, probably the best place in Czechia for learning about and viewing the Vernacular architecture of the Carpathians. You can easily spend there all day! It was a very lovely hike, something a little different from usual. I loved the fact that we could learn in a practical way about something historical but at the same time we still got to do a good amount of walking. And that’s, at least for me, what hiking should be about – have fun and simply do whatever works for you. Doan easy hike, do a long hike, do a historical hike, hike to see architecture or animals, do a never ending hike. A thousand hikers, a thousand different tastes, a thousand days of fun. 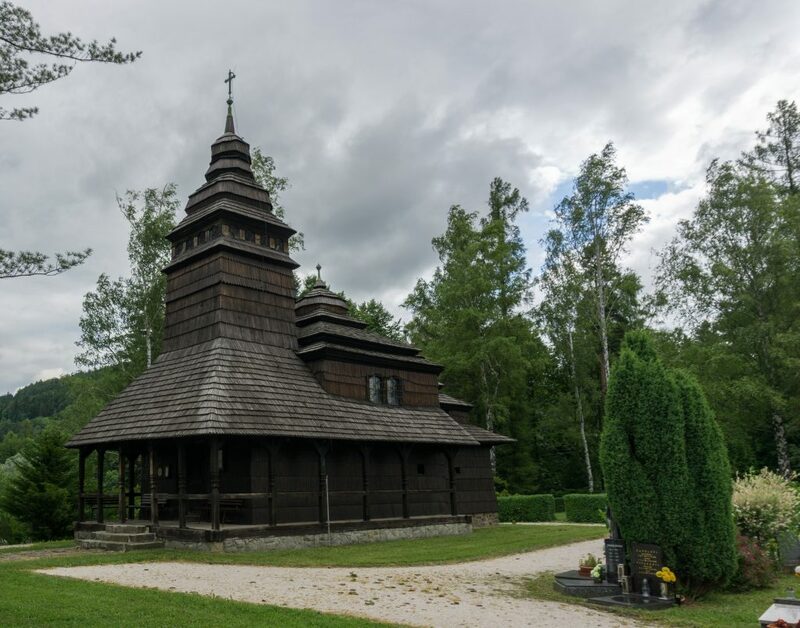 Be the first to comment on "Following the Vernacular Architecture of the Beskids from Kunčice pod Ondřejníkem to Rožnov pod Radhoštěm"